It has been long speculated that the Cowboys will target Saints head coach Sean Payton as a replacement for Jason Garrett. Payton, of course, has heard the chatter, but he’s doing his best to downplay the rumors. Payton is right – the Cowboys speculation will probably continue, unless Garrett manages to guide the Cowboys to a Super Bowl victory in the near future. And, even though 40-year-old quarterback Drew Brees hasn’t shown any signs of slowing down, his retirement may not be too far off. When that happens, some believe that Payton will follow him out the door. Still, Payton didn’t blink when asked if he plans on staying in New Orleans. “That’s clearly the plan,” said Payton. 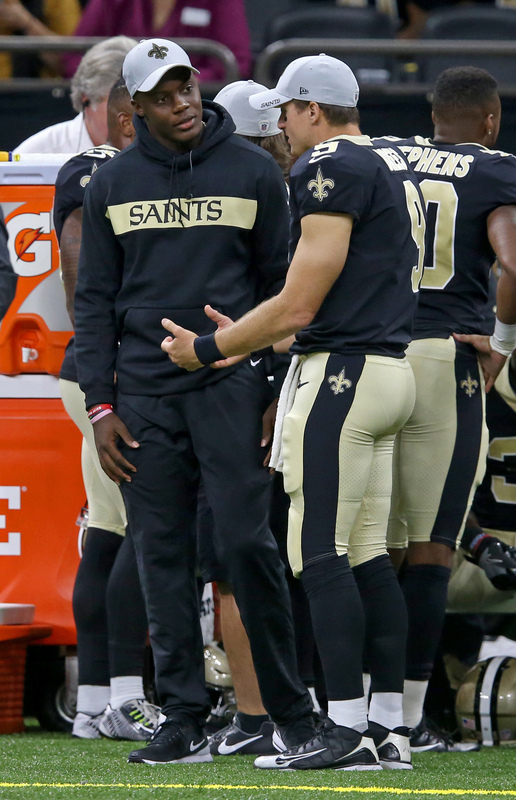 Last year, the Saints finished out with a 13-3 record for the third time under Payton’s watch. The Saints managed to top the Eagles in their Divisional Round showdown but fell to the Rams in a controversial NFC Championship Game loss. The Saints have been linked to both Teddy Bridgewater and Ryan Tannehill as they search for a backup quarterback, and we have updates on both situations. Bridgewater is reportedly deciding between deals from both New Orleans and Miami, but he may have concerns about head coach Sean Payton‘s longevity with the Saints. Payton has long been linked to a potential opening with the Cowboys, and Bridgewater may not be interested in re-signing with New Orleans if Payton isn’t going to be around, per Clarence Hill of the Star Telegram (Twitter link). Meanwhile, Tannehill has been floated as a potential replacement if Bridgewater doesn’t re-sign with the Saints, but that may not be likely. A source tells Mike Florio of Pro Football Talk (Twitter link) there’s “no way” Tannehill lands in New Orleans. New Orleans assistant general manager Jeff Ireland originally drafted Tannehill in Miami. Take this with a grain of salt, but there’s an ongoing theory that the Cowboys are eyeing Saints coach Sean Payton as the eventual replacement for Jason Garrett, according to Mike Florio of Pro Football Talk. Of course, there are a number of complications and roadblocks involved in such a plan, including Payton’s contract with New Orleans, which runs through 2020. Garrett is a lame duck heading into 2019 and the team does not plan to give him an extension between now and the fall. Of course, Garrett’s job has been in jeopardy before and he could easily turn things around with a big season in Dallas. If the Cowboys are indeed interested in Payton, then this wouldn’t be the first time another team has tried to pry him away. The Colts and Rams reportedly explored the idea in January 2017, but Payton wound up staying put in New Orleans. The Eagles may be hoping to “tag and trade” quarterback Nick Foles, but Foles’ representatives should be prepared to fight any attempt to block his path to the open market, Mike Florio of PFT writes. The QB’s camp could communicate that they won’t cooperate with the plan or they could fight it based on the rules of the CBA. Article 4 of the CBA reads: “A Club extending a Required Tender must, for so long as that Tender is extended, have a good faith intention to employ the player receiving the Tender at the Tender compensation level during the upcoming season.” Tendering Foles strictly to trade him would potentially be in violation of that clause. The Giants are likely going to use Eli Manning as their starting quarterback in 2019, Ralph Vacchiano of SNY opines. The Giants, he writes, are more likely to seek his heir in the draft and potentially explore a negotiation to trim his $23.2MM cap hit. Former Eagles quarterback G.J. Kinne has agreed to become an offensive assistant with the Eagles, Bruce Feldman of The Athletic tweets. Last year Kinne worked an analyst/assistant QB coach at Arkansas. Kinne, a Tulsa product, worked the practice squad circuit up until he was released by the Giants in May of 2016. The Eagles also promoted assistant wide receivers coach Carson Walch to full WRs coach, as Ian Rapoport of NFL.com tweets. He takes over after the team moved on from Gunter Brewer. The Saints have had a relatively busy offseason, but things have seemingly ramped up for the organization over the past few weeks. After making seven selections during last month’s draft, New Orleans subsequently made headlines for several reasons. The team released veteran tight end Coby Fleener, who had spent two seasons with the organization (including a 2016 campaign where he hauled in 50 receptions). We later learned that running back Mark Ingram had been hit with a four-game suspension, and reports later indicated that the former first-rounder would be skipping the offseason program. “How accurate is he? Does he complete passes in time? Does he get through his progressions? How quickly does he learn? Can he get to the huddle and call the play? Can he handle the cadence? His ability to ingest, process and go ahead and take it to the field. While the Saints have a clear-cut starting quarterback for next season, could the organization still look to draft an eventual replacement for Drew Brees? For what it’s worth, head coach Sean Payton expressed his interest in Clemson’s Deshaun Watson earlier this week. While Watson could theoretically fall to the Saints at the 11th pick, Payton was adamant that he’s not looking to replace Brees, who finished this past season with 5,208 passing yards and 37 touchdowns. University of Florida defensive backs coach Torrian Gray is leaving the school to join the Redskins coaching staff, reports Robbie Andreu of The Gainesville Sun (via Twitter). Zac Jackson of ProFootballTalk.com reports that Gray will be Washington’s new defensive backs coach. Besides a one-year stint as the Bears defensive backs coach, Gray had been coaching in the NCAA since 2000. Falcons offensive coordinator (and soon-to-be 49ers head coach) Kyle Shanahan acknowledged that he liked Patriots backup quarterback Jimmy Garoppolo heading into the 2014 draft. “He was a very good thrower,” the former Browns offensive coordinator told Mary Kay Cabot of Cleveland. “Tough guy, kept his eyes down the field, could get rid of the ball fast. Really liked the person. Had a chance to go out to dinner with him and stuff. He played at Eastern Illinois, and it was a different type of offense where you can’t always evaluate with how quick they get rid of the ball. But I really thought he was a very intelligent, tough player with a good throwing motion.” There will be a handful of teams that will inquire on the 25-year-old, and the 49ers could be one of those squads. 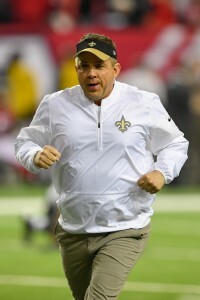 Colts Tried To Trade For Saints’ Sean Payton? The Colts expressed interest in acquiring Saints head coach Sean Payton this offseason, and though New Orleans was willing to consider a deal, the two clubs couldn’t agree on the final terms of a trade, reports Jason La Canfora of CBSSports.com. However, Indianapolis COO Pete Ward, whom La Canfora identifies as the point man in talks, denies the report, per Mike Chappell of FOX59. Ward says an “associate” of Payton contacted the Colts to gauge the club’s interest in the Saints head coach, but Indy quickly conveyed that they did not want to deal for Payton. Indianapolis has since announced one change to its decision-making structure — the firing of general manager Ryan Grigson — but head coach Chuck Pagano is still in place and is likely to remain the Colts’ head coach for the 2017 season. But Indianapolis and owner Jim Irsay are clearly fans of Payton, as the team reportedly targeted Payton during the 2016 offseason, as well. 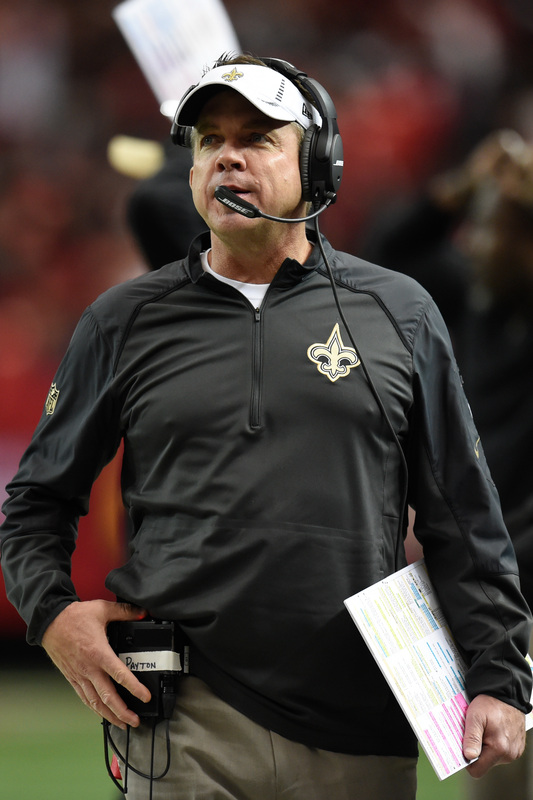 While Payton’s contract demands scuttled talks last year, this season’s negotiations ended because of New Orleans’ compensation requirements, which La Canfora reports were at least one draft choice in the top two rounds. Had Payton been traded to the Colts, he likely would have brought Saints executive Jeff Ireland along as his general manager, per La Canfora. Ireland offers former GM experience, as he led the Dolphins front office 2008-13. Instead, Indianapolis has named VP of football operations Jimmy Raye III its interim GM, and Raye is the favorite to keep the job for the 2017 campaign. By installing Raye, the Colts are keeping their options open, and could potentially completely clean house — and bring in an all-new front office and coaching staff — for the 2018 season, writes La Canfora. Payton had garnered interest from other clubs this offseason, and the Rams were perhaps the most serious suitors, as reports indicated that Los Angeles would pursue a trade for Payton. Other potential landing spots for Payton, who prefers a West Coast home, included the Chargers and 49ers. However, Payton, who is signed with New Orleans through 2020, will stay with the Saints for at least one more season. The Saints will have a significantly different coaching staff next year, as the team parted with assistants Joe Vitt (assistant head coach/linebackers), Bill Johnson (defensive line), Greg McMahon (special teams coordinator), Stan Kwan (assistant special teams) and James Willis (assistant linebackers) on Thursday, according to Sporting News’ Alex Marvez (Twitter link). These changes are a sign that head coach Sean Payton isn’t going anywhere, observes Ian Rapoport of NFL.com (Twitter link). Vitt is the longest-tenured staff member to go, having served with the club since 2006. He filled in as New Orleans’ interim head coach when the NFL suspended Payton for the entire 2012 season because of the Bountygate scandal. 49ers: With vacancies at general manager and head coach, the Niners are set to to interview a couple members of the Carolina organization. Panthers assistant general manager Brandon Beane and defensive coordinator Sean McDermott will meet with the 49ers next week, per FOX Sports’ Peter Schrager (Twitter links). Seahawks offensive line coach Tom Cable will also discuss the 49ers’ head coaching opening with the team next week, according to Tom Pelissero of USA Today (Twitter link). Bills: Buffalo still has not submitted an official request to interview Eagles offensive coordinator Frank Reich, per Tim McManus of ESPN.com. There has been follow-through after the initial contact between the two sides, he adds (Twitter link). Broncos: Defensive coordinator Wade Phillips, whose contract is expiring, is unlikely to return to Denver, reports Marvez. If Dolphins D-coordinator Vance Joseph becomes the Broncos’ head coach, Denver’s defensive backs coach, Joe Woods, would likely succeed Phillips (Twitter links). Chargers: Buccaneers defensive coordinator Mike Smith interviewed with the Bolts on Thursday, becoming the first candidate to do so, reports Michael Gehlken of the San Diego Union-Tribune. The aforementioned Sean McDermott will follow him Friday, relays Joseph Person of the Charlotte Observer. The club has also requested permission to interview Bills interim head coach Anthony Lynn, according to Rapoport (Twitter links here). Rams: Los Angeles’ previously reported interview with Anthony Lynn will go down on Sunday, Mike Rodak of ESPN.com tweets. Redskins: In addition to bouncing defensive coordinator Joe Barry, the Redskins also canned defensive line coach Robb Akey and defensive backs coach Perry Fewell on Thursday, via James Palmer of NFL.com (Twitter link). Panthers secondary coach Steve Wilks is a name to watch as the Redskins look for Barry’s successor, Rapoport tweets. Wilks has a history with Josh Norman dating back to their time together in Carolina. Bookmark PFR’s Head Coaching Search Tracker for an up-to-date primer on who’s interviewing where. Despite a down season, Jets wideout Brandon Marshall said that he’s still planning on playing for another five years, writes ESPN.com’s Colin Stephenson. In fact, the 33-year-old suggested that he’d be willing to take a pay cut to stay in New York. “Like I said, it’s not about the money anymore; it’s all about winning,’’ he said. “But I know what I’m worth. I think this team knows what I’m worth, as far as the organization. But it’s not about the money. I’m good. I’m good with the money. I just want to win. That’s all I want to do is win. So I don’t care about anything but winning. That’s it.’’ Marshall is due $7.5MM next season, although the money isn’t guaranteed. Buccaneers coach Dirk Koetter said he will bring in competition for kicker Roberto Aguayo, as Jenna Laine of ESPN.com writes. “We’ve got to have competition at every position,” Koetter said Monday. “Nothing’s given and if they’re not the best player, then I can be pretty certain in saying that they won’t be out there.” The Bucs traded back into the second round in 2016 to select the Florida State product, making him the highest-drafted kicker since Mike Nugent. Many criticized the pick but GM Jason Licht later said he assigned Aguayo a first-round grade. The rookie ultimately connected on 71-percent of his field goals this season, the lowest mark in the league. Jaguars quarterback Blake Bortles says he played this season with two shoulder separations and wrist tendonitis (Twitter link via Michael DiRocco of ESPN.com). The injuries likely contributed to the 24-year-old’s subpar stats this season. After a breakout campaign in 2015, Bortles threw for 3,905 yards, 23 touchdowns, and 16 interceptions this season. Impending Colts free agent defensive back Darius Butler told Stephen Holder of the Indy Star (on Twitter) he’s ready to transition full time to safety. Butler finished the season with 27 tackles, three interceptions, and one forced fumble. Despite rumors that may say the contrary, Saints head coach Sean Payton said that he plans on coaching the team in 2017, tweets Larry Holder of NOLA.com. Previous reports indicated that the organization would be willing to trade their long-time coach, and the Rams have been noted as a potential destination. Could Cowboys DE Randy Gregory really be back for the playoffs? According to Jon Machota of the Dallas News (via Twitter), the embattled defender will have an appeal hearing in the next week or so to determine whether he’ll be eligible for the postseason. Gregory recently appealed his year-long ban. Saints head coach Sean Payton reportedly has “sincere interest” in the Rams’ vacancy, and it appears the feeling is mutual. Los Angeles is likely to ask the Saints for their permission to speak with Payton during the upcoming week, reports Larry Holder of NOLA.com. Now, having just completed their third straight 7-9 season, the Saints would be open to trading Payton, a source told Holder. If Saints general manager Mickey Loomis does deal Payton, it’s doubtful he’d seek a significant return. The Tom Benson-owned franchise would instead be content with freeing up the $40MM remaining on Payton’s contract. New Orleans hasn’t gotten bang for its buck from Payton lately, as it has missed the playoffs in four of the past five seasons. Despite the Saints’ recent struggles, Payton’s tenure in the Big Easy has been a resounding success. The 53-year-old has led the team to a 94-65 record and five playoff berths in 10 seasons, and the crowning achievement during his run with the Saints is their Super Bowl victory to cap off the 2009 campaign. Of course, Payton also missed the 2012 season – in which New Orleans went 7-9 – after NFL commissioner Roger Goodell suspended him for his role in the Bountygate scandal. Going forward, Payton’s commitment to the Saints is clearly up in the air. The offensive guru refused to provide any useful answers Sunday to reporters who asked him about status, instead replying, “Next question.” He also met with Loomis after the Saints’ season-ending loss to the Falcons to discuss his future, according to Holder. It now seems that future could be in Los Angeles, which would represent a homecoming for the California native.